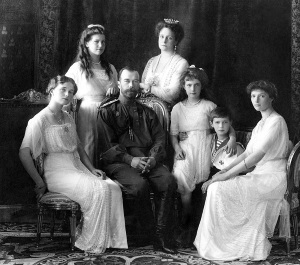 The Last Days of the Romanovs documents the final two weeks of the famous imperial family in Russia before their murder in 1918. Rappaport's obvious expertise in, and passion for, Russian history makes her a wonderful guide into this complicated and fascinating period and the doomed family that lived within it. The book is literally a day-by-day account, with each chapter covering its own day. However, it was not exactly what I had been expecting, being eager as I was to know all the details of their final days. I should have known that there isn't much detailed information about their activities, what they thought, how they felt (wishful thinking). Instead, most chapters contain a mini-biography of each member of the family, with a few details about that day at the end based on their diary entries or comments made by their guards. As the day of their death approaches, there is quite a lot of information about the inner workings of the Bolshevik party, the effects of communism on Russia, international opinions on the fate of the Romanovs, and the various attempts to rescue the family from their house arrest in Ekaterinburg. At one point I almost shouted aloud at the book, "Alexandra, you idiot!!!!" Alexandra, the tsarina, rejected a viable rescue attempt because it was proposed by Germany, saying "I would rather die in Russia than be rescued by the Germans". OH COME ON!!!!! As a side note, it was very interesting to learn just how much anti-German sentiment played a part in the fate of the Romanovs, as it was played out during the final year of World War I. The international politics during wartime were discussed a great deal, and it finally becomes understandable why the English king (George V) revoked his offer of asylum for the Romanovs and left them to their death. Nicholas, Alexandra, Anastasia, Alexei, Tatiana. I love Rappaport's writing style, being at once personal and professional. She excels in the task of giving humanity to these remote figures, as well as giving clarity to the tangled mess of Russian politics and communist intrigue. I highly recommend her other book on this subject, The Romanov Sisters, which is an engaging and wonderful biography/tribute to the murdered daughters of the Tsar, Nicholas II. The climax of the book is truly horrific, as the murder of the Romanov family is described in vivid and gruesome detail. Their deaths were not the clean execution that was planned on, apparently taking a shocking 20 minutes to accomplish. I normally have a stomach of steel, but reading this part of the book was difficult and left me feeling sick. The terror and pain that must have been experienced by the family before they died is awful to contemplate, especially because it was the children who took the longest to die. This was the moment the whole book was leading up to, and the moment that was anticipated (due to the natural morbid fascination we humans have...at least, I hope it's not just me! ), and Rappaport did it justice. It is a neat, almost moment-by-moment account of the last few minutes of their lives, told bluntly and without emotion, but it is all the more impactful and terrible because it is a factual account. Although the rest of the book was slightly impersonal and unemotional, the ending of the book drives home the sickening tragedy this really was. In fact, at least for me, the thing I felt most was revulsion for the people and the organization that coldheartedly planned and carried out the murder, even beyond the sadness I felt for the Romanovs themselves. That people are capable of extreme hatred and cruelty (with murder not even the worst of the atrocities) is a fact, and one that Rappaport chillingly drives home in her account of the Bolsheviks and their crimes. As disturbing as the contents of this book are at times, I think it is a valuable thing to be shown how ugly people (and communism) can be. 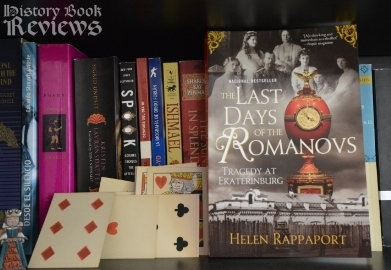 The Last Days of the Romanovs reminds the reader of this ugliness while subtly condemning the men involved, and offering no happy ending or rosy finish to the story. Depressing though this may sound, it made me feel grateful for my life in comparison (grateful, especially, for not living in a communist country. If anyone reading this does, well...sorry) and it made me remember not to take my freedoms and privileges for granted. I can only hope that this would be of some comfort to the Romanov family if they knew.